The Luna Bamboo Series is a stunning line of exotic ukuleles made from all bamboo wood, married with aesthetically-pleasing features. 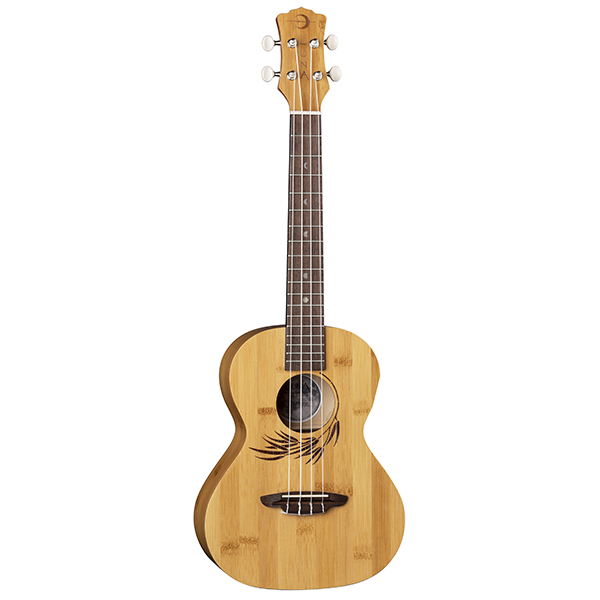 Luna continues its unique stride in the realm of exotic woods by adding Bamboo ukuleles to the mix that include Soprano, Concert and Tenor sizes. The Uke Bamboo Soprano is built with a 13 1/2 scale length, mahogany neck, walnut bridge and fretboard, and beautiful pearl moon phase inlays. From the laser-etched leaf design around the sound hole to the smooth ripples along the natural bamboo wood body, people will be stunned by this ukuleles natural beauty. Whether youre performing on stage or by yourself in a peaceful environment, one can expect a warm sound from the Bamboo Soprano as it produces a sharp yet vibrant tone with every rhythmic strum. 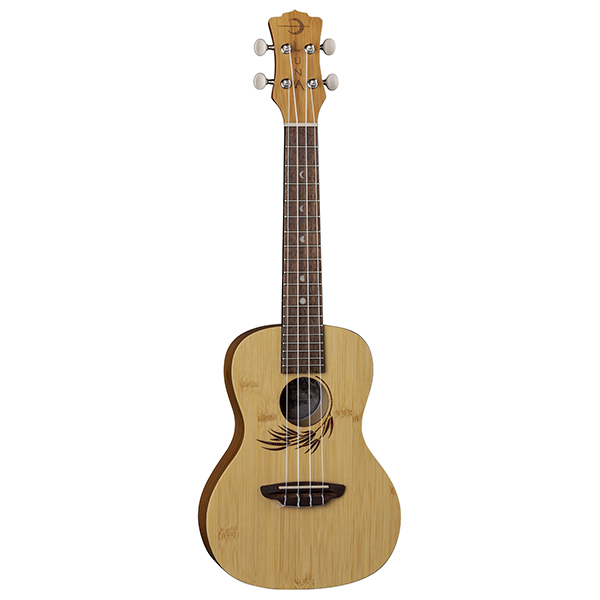 Take the exotic Bamboo Soprano ukulele with you everywhere you go! This is a wonderful instrument for players of all skill levels. Branded travel bag included. Join the Luna Tribe!